The 15 Best Honeymoon Hotels In Sri Lanka: Ultimate 2019 Guide! 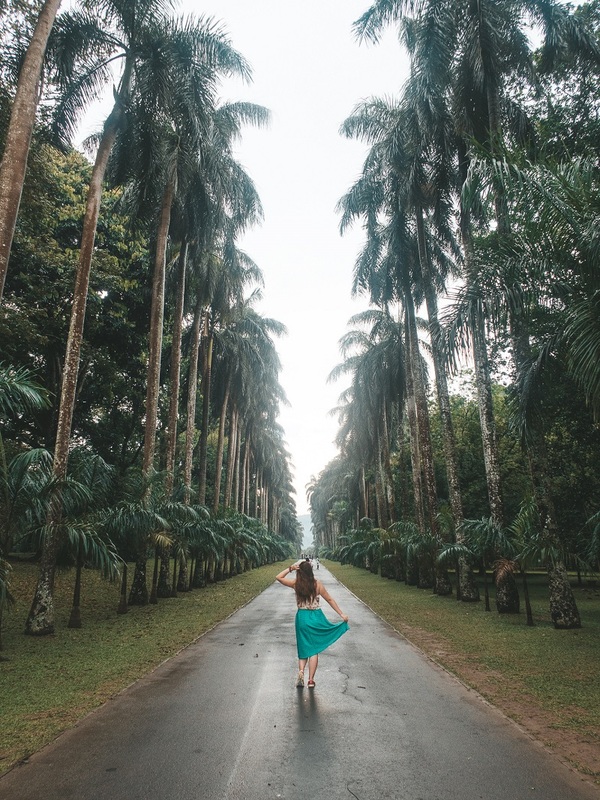 Your mini Kandy travel guide featuring all the best places to visit in Kandy Sri Lanka. This is perfect for 2 to 3 days in Sri Lanka's 2nd largest city..
Kandy, Sri Lanka's second largest city, is one of the most popular spots to visit when backpacking through Sri Lanka, and backpackers often stop here on their way towards the hill country areas of Nuwara Eliya and Ella. If you’ve got 2 or three days to spare, then a stop to Kandy is worth it. Check out our travel guide on seven brilliant places to visit in Kandy, Sri Lanka. When is the best time to Visit Kandy, Sri Lanka? October to November is the “monsoon” season of Kandy, and it’s actually the time Bradley and I visited. We didn’t have much choice in the matter, but it only rained one day after 2 pm, so it really wasn’t too bad. The best time to visit is between December to April as the weather is dry and pleasant. But either way, you can make it work with some strategic day activity planning. If you have started your Sri Lankan journey from Colombo, you can reach Kandy in around 2-2.5 hours (traffic dependent). Car: You can opt for an uber journey which should cost you around 6000 without luggage and 7000 with luggage. This works out at 1750 per person based on four people sharing, which is around £8 based on today's exchange rate. £1=223 Sri Lankan Rupee with a Revolut card. That’s not a bad deal for convenience and aircon. Train: The train journey from Colombo to Kandy is supposed to be quite scenic and should take 2.5 hours. You can find out more information here. Cost should be around Rs. 180-1,450 depending on the class of travel. Generally, train travel in Sri Lanka is considered more comfortable than buses. Bus: You can also catch a bus from Colombo to Kandy. It will take around 3-4 hours and should cost around Rs. 187 - 400. Tuk-tuk: You can rent and drive your own Sri Lankan tuk-tuk to around the whole island. That's what Bradley and I did and it was the best decision we made. Not only is driving a tuk-tuk a lot of fun, but the flexibility it gives to you and your trip is brilliant. You can get off the beaten track and really do whatever you want. We used a company based in Colombo called Tuk-Tuk rental and I highly recommend them. It cost us $18 a day for a rental period of 28 days. What are the best places to visit in Kandy Sri Lanka? Well now that we’ve sorted the best time to visit and how you’re getting to Kandy, let’s check out some of the best places to visit in Kandy Sri Lanka! This is one of the most well-known things to do in Kandy and it’s basically a beautiful temple located in the middle of Kandy which is said to house Buddha's tooth. The temple is also known as the sacred tooth relic. The tooth is kept behind a glass and you can see it if you wish. Bradley and I have been to A LOT of temples in the last 3 years, so we are really really picky about where we go now. Feedback has suggested that this is one of the best places to visit in Kandy Sri Lanka. It’s a 17th-century temple and the entrance is 10 USD. Visit in the morning before the crowds gather, and be aware of local holidays which will also make it super busy. This is my favourite place to visit in Kandy as it’s just made of pure beauty. Actually, I consider this one of the most beautiful places in Kandy, and perhaps Sri Lanka as a whole. The gardens are very well maintained and depending on when you visit, there will be lots of beautiful flowers. I wanted to see blooming rose gardens, but unfortunately, it wasn’t the season. However, as you walk around with your map in hand there are lots of amazing plants and flowers to see. It’s a calming area and a perfect place to spend a day in the sun. It cost Bradley and me $15 for the both of us. However, I had read online it would cost $15 each, so I think when you visit in Monsoon-like Brad and I did, it’s cheaper. Within the park itself, there is a lovely restaurant that sits on the main field and it’s cheap to dine with a lovely view. They take card too which is useful. 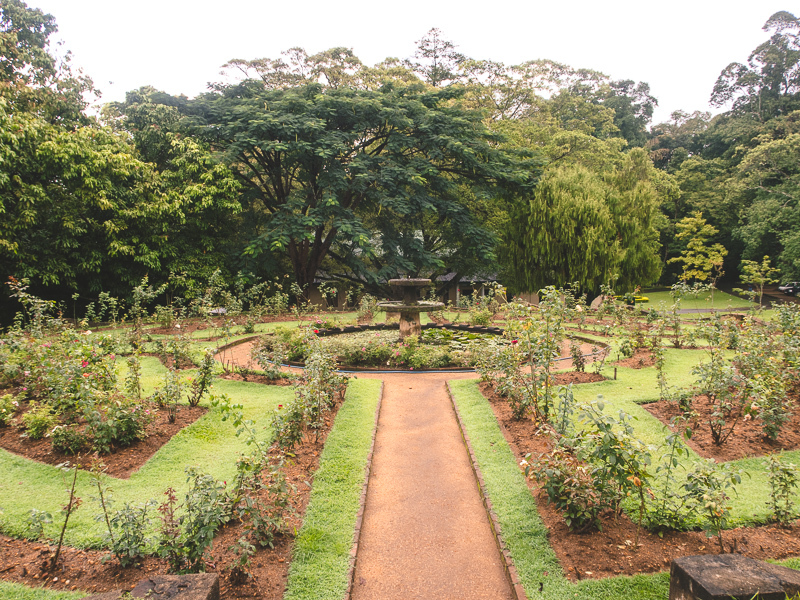 So, grab yourself a cup of tea and plan out your route around the royal botanical gardens. The perfect spot for lunch! You could spend up to three hours here, depending on what you want to do! Ps. this is one of the great places to visit in Kandy for couples as it's one of the romantic places in Kandy. There is a well-priced souvenir shop on the way out, and I Bought my Sri Lanka shot glass here (For those who are new readers, I’ve been collecting shot glasses from every country I’ve been too, which means I have a lot!) It was the cheapest I saw in all of Sri Lanka for 200, so less than £1. Read Also: My guide on the best things to do in Anuradhapura. 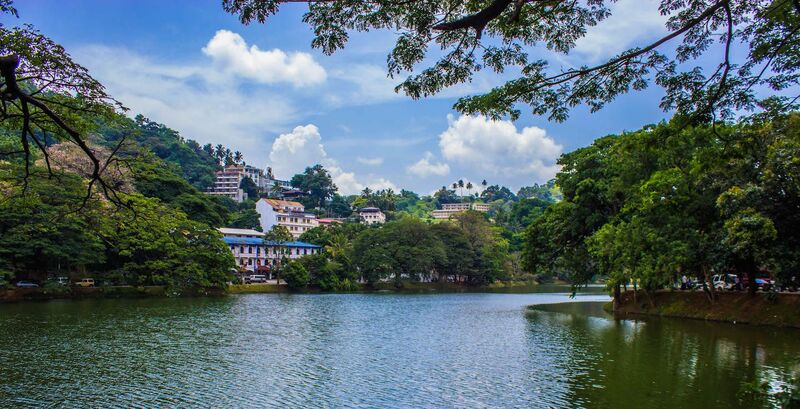 Kandy Lake is iconic in pictures of Kandy, and if you want an evening stroll when the heat isn’t too hot, then this is one of the best places to visit in Kandy Sri Lanka. The lake itself is quite manic with traffic during rush hour, so if you want less beeping, then head early in the morning. There are some bench areas for you to stop and take in the surroundings. There is also a little island in the middle with palm trees, but I am not sure if you can actually visit it. 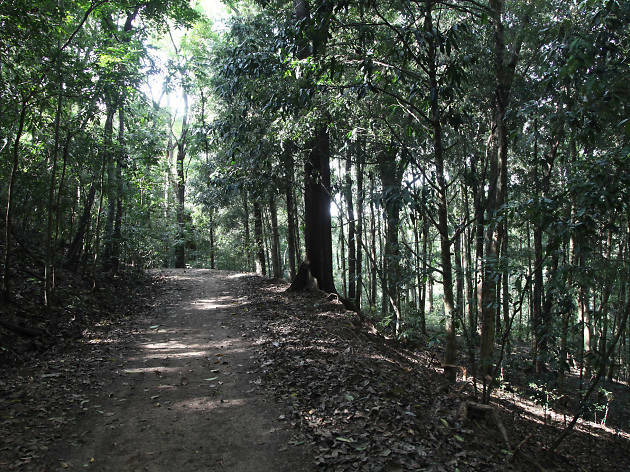 This is a historic forest reserve on a hill-ridge in the city of Kandy and is the perfect spot for those seeking walking/hiking and adventure. This is definitely one of the best places to visit in Kandy Sri Lanka and it’s totally worth a full day trip. If you’re into birdwatching, you can arrange a guide for around 500 SR which is super cheap. This is a good spot to pack a picnic, even grab a couple of beers and go for a relaxing walk in the sunshine. 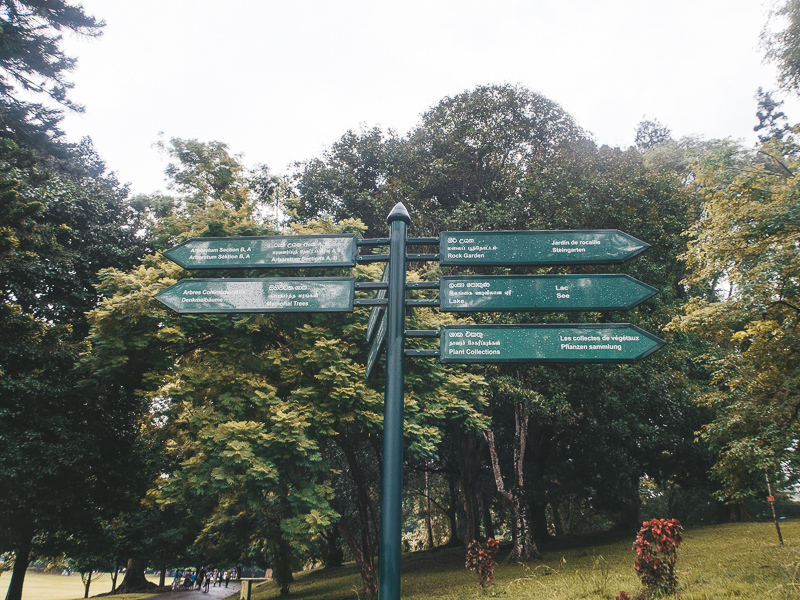 You will be given a detailed map at the entrance (as part of the cost) which will show you where each path leads and even without a guide you can find your way passing through, ‘Marble Seat’, ‘The Lover’s Walk’, Ironwood forest and Buddhist monasteries. I love a view from above, and if you want the chance to see Kandy with a 360 panoramic view, then this is your best shot. 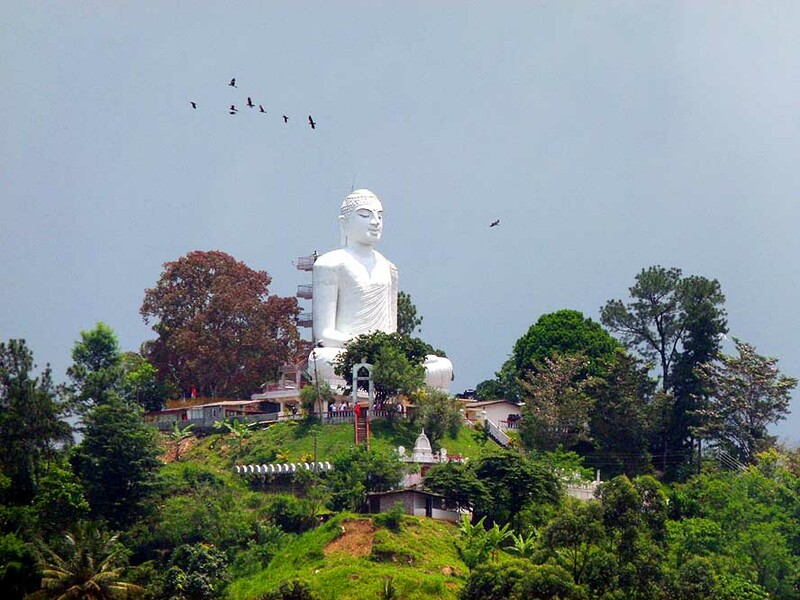 Bahiravokanda Vihara Buddha statue is one of the biggest Buddha statues in all of Sri Lanka. It requires some steps, but you can drive up with a tuk-tuk too. The beautiful Buddha itself is also fascinating to see which makes this one of the top places to visit in Kandy Sri Lanka. Remember it's a steep walk, so if you are going during the heat then bring water and put on sunscreen! Read Also: The best places to visit in Arugam Bay. If you like history, or you want to learn more about the Kandian era, then this is a good place to stop. The museum is in the former royal palace and displays artefacts, weapons and much more from the Kandian era. This is located next to the temple of the tooth, so it’s a good spot to visit afterwards. Also, there is the Royal Palace of Kandy which is located North of the Temple of the tooth. It’s also considered one of the best places to visit in Kandy. After you've completed all the best places to visit in Kandy you can move onto the brilliant Nuwara Eliya or Ella. To access these two hill country icons, you can take the train. The train is one of the most scenic train rides in the world, and I am sure you've seen the pictures. It passes through tea fields, lush greenery and beautiful waterfalls. 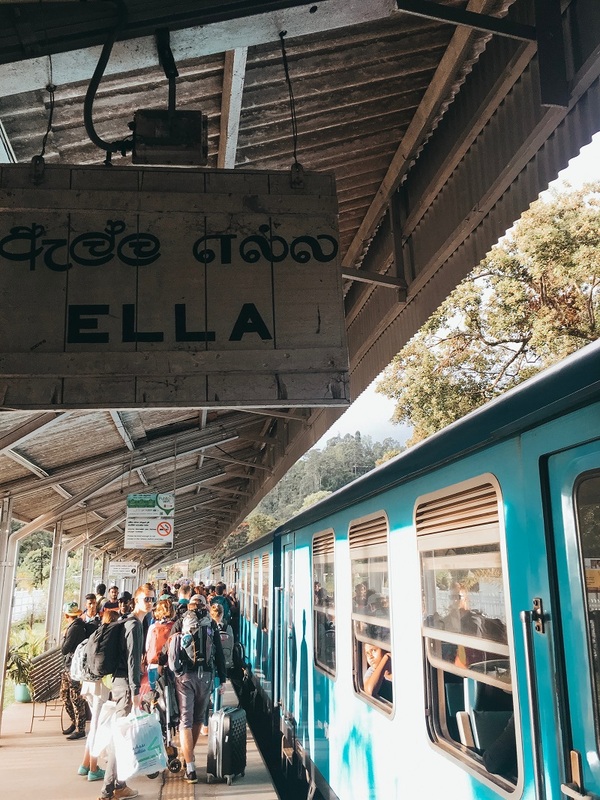 It takes 4 hours to Nuwara Eliya and 7 hours to Ella. It's cheap if you go for the cheapest class, and I've heard this is best because then you get the best views. Plus you'll get to mingle with the locals and that is always fun! 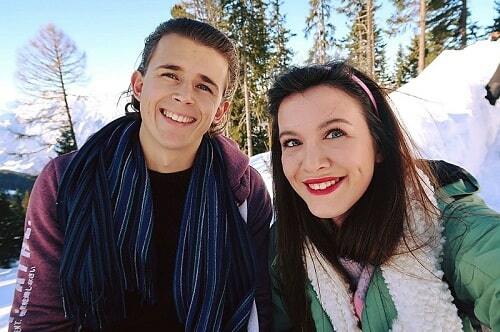 Unfortunately, Bradley and I didn't get to go on the world famous train ride, as we had our own tuk-tuk for 4 weeks. Whilst part of me does wish I did it, we pretty much did the same route and we got to physically stop at all the tea fields and drink tea, and stop at the waterfalls and take pictures. So I don't think I missed out too much. Knuckles Mountain Range: This mountain range is located in between Kandy and Matale and it's a great place for hiking. Different tour companies can arrange tours from Kandy for hiking, so ask around to get a good price, and the more people you have, the better the deal. How long should I stay in Kandy? Bradley and I stayed 2 nights, which we thought was sufficient for all sightseeing. You could easily do all the above stuff in one day, but it would be a long day. Rather it’s nicer to break it up into two and take it easy. Also, some of the accommodation in Kandy is BEYOND amazing when it comes to 5-star hotels, so you might want to stay just to experience an infinity pool for a day longer. But we have a whole post on the most amazing Kandy hotels in Sri Lanka. Where did we stay in Kandy? 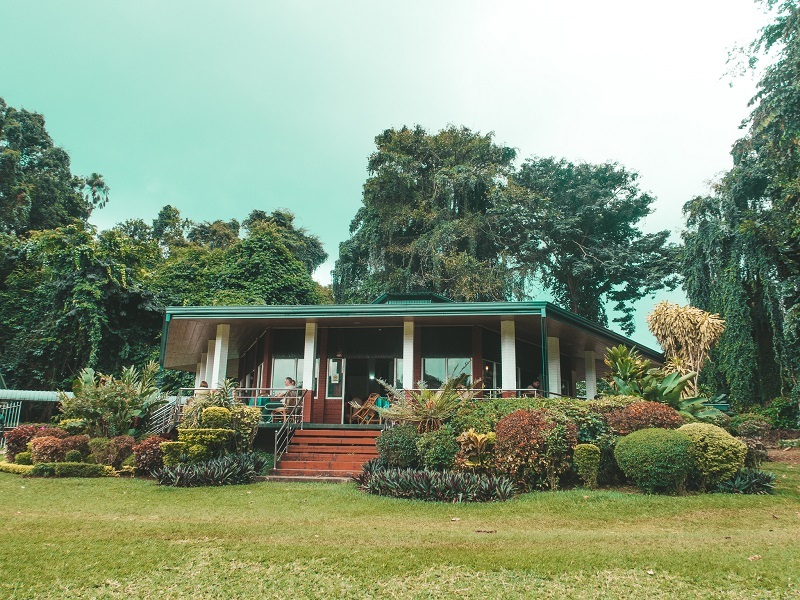 After MUCH research and deliberation, Bradley and I wanted to stay somewhere slightly outside the Kandy centre (10-15 minute drive), as we had just finished some hotel reviews and had a lot of work to catch up on. So we needed 4 things: a comfortable bed, aircon, wifi and breakfast. We also got a pool which was a bonus. We stayed in: Nelinsa Kandy which cost £8 a night each and with a review score of 9.2 you know we aren’t lying when we say it was good! They also serve dinner on your balcony which is delicious and well priced. 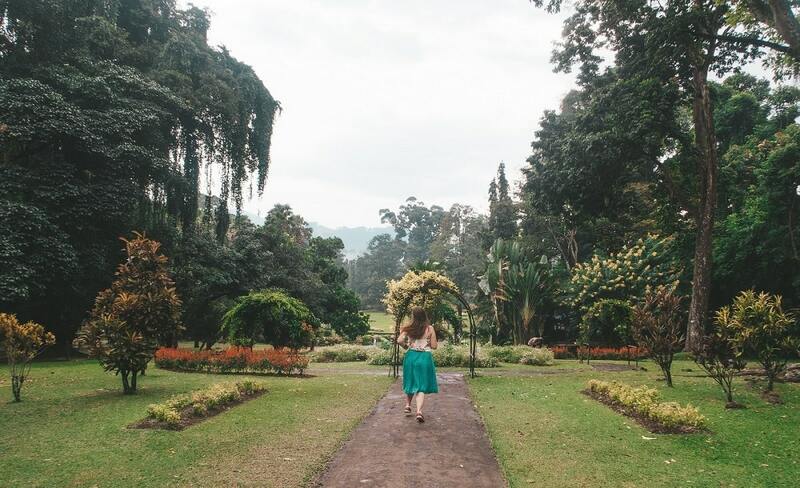 Check out my review of the top ten bungalows in Kandy for more options on places to stay! In case you're wondering what cameras we used to take photos and videos. Canon G7x Mark II: Brilliant little point and shoot, video recording for creating travel videos and vlogging camera. Wouldn't travel without it. Tripod: Great for creating unique content. Memory cards: I use 64G sandisk, sometimes the gold version for drone footage. Mavic Pro Drone: Our baby mavic is high quality, worth a lot of money and worth it for the beauty it captures. This is the best drone for money! I hope you’ve enjoyed my post on seven brilliant places to visit in Kandy Sri Lanka and if you’ve got any more ideas to be added to the list, then feel free to comment them below. Want great tours in Kandy?